You Do Not Want To Miss These Deals! Temperatures are rising and the grass is growing! We are grateful to see some water levels beginning to drop, and we continue to hold those still underwater in our prayers. 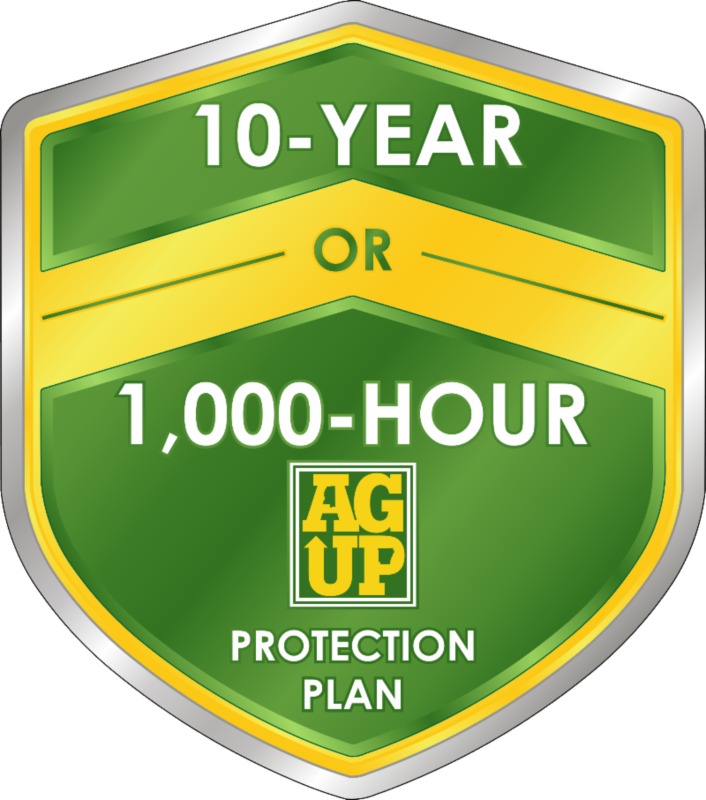 While it has been a long, wet winter...spring is finally here and we have inventory, great deals and an EXCLUSIVE 10 Year Protection Plan on 1-5 Series Tractors! Make sure to see a staff member today for details on this exciting offer! 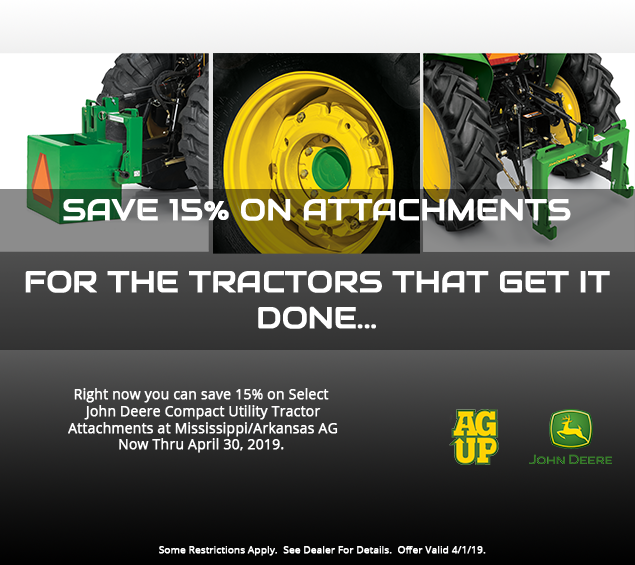 Great deals are abundant this spring at MS|AR AG, including great pricing on Model Year 18 Closeouts, $6,000 off of 5075E tractors; $2,100 off of 3025E tractors; and $300 off select Gators - all with fantastic financing options. 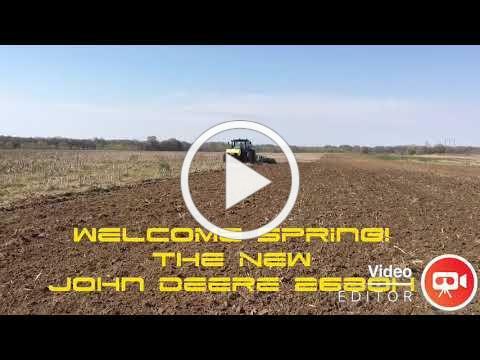 MS|AR AG is excited that we have new products this spring including the new Z994R diesel Ztrack mowers and the new 3D tractors. 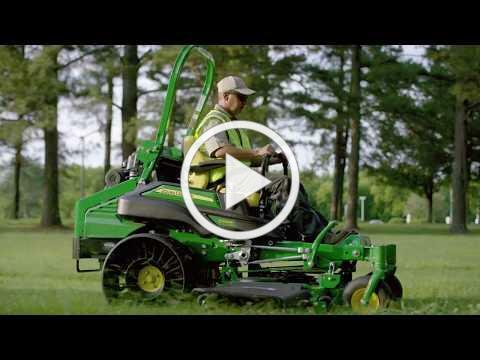 The Z994R, 25HP diesel mower is available with a 54” or 60” mower deck and optional Tweels. 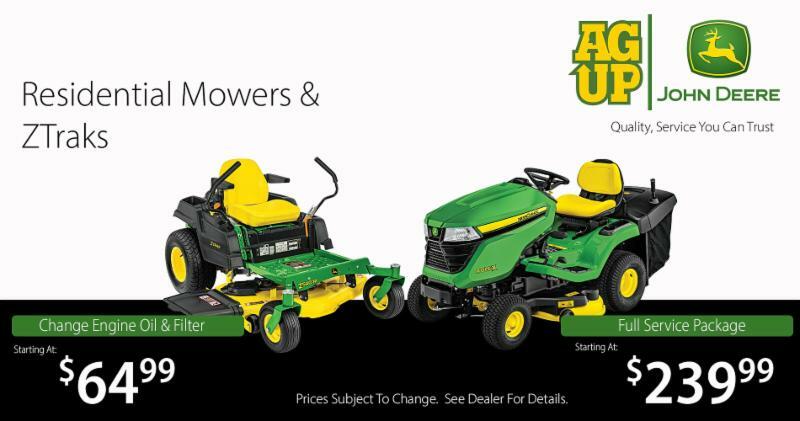 This mower is available at all MS|AR AG locations, stop in and check out these new mowers on the lot today. The 3D tractors will offer three different HP models, 3025D, 3035D, and 3043D. 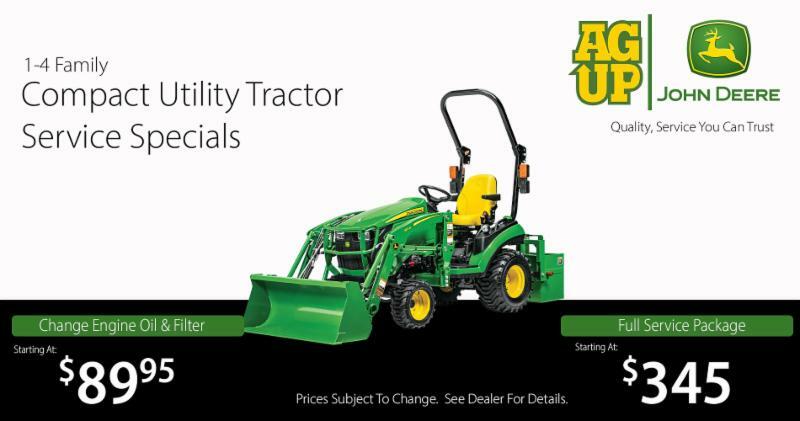 These tractors feature a gear drive transmission and great pricing. Be on the lookout for the John Deere 3D tractors arriving later this spring. In Large AG Sales, we have been patiently waiting for the weather to clear up and are excited to finally see tractors everywhere in fields! 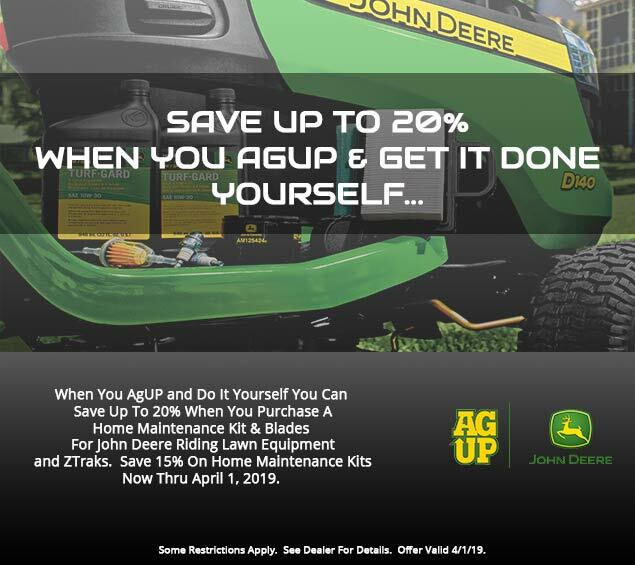 We have some Demo tractors that will not last with the aggressive offerings if sold before end of April, so get with a sales professional TODAY! The New, R4023 sprayers w/90ft booms, and one R4030 sprayer w/100ft boom are arriving at locations now. 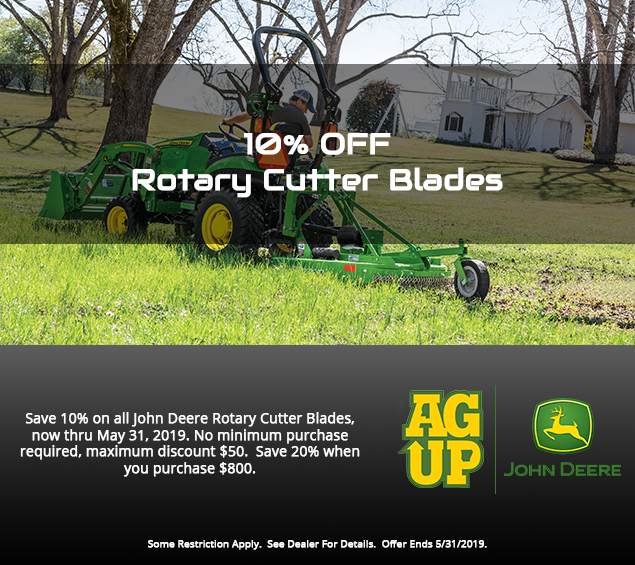 Deere is offering some great deals on NEW combines for this fall season. It truly is the “Best time ever to get in a new S7 series combine.” Come in and see your sales professional today to take advantage of all the spring savings MS|AR AG is offering! AgriSync is a new product for MS|AR AG & the Ag InSight Department. 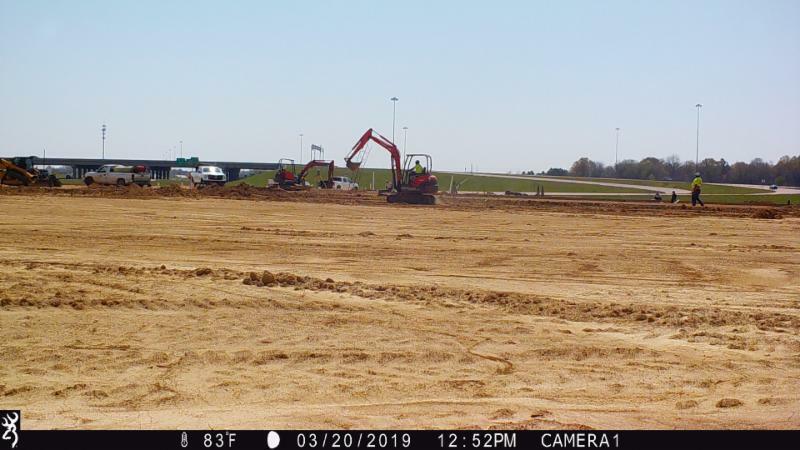 This software is a tool that we will be utilizing at all locations to provide another level of connection to our customers. 1). AgriSync works on a desktop as well as mobile application. 2). No password to remember, you will get a text with a code to your cell phone to login. 3). Ability to text a request or image to your local parts team. ﻿4). The mobile app (optional) is free for anyone and provides a portal for you to easily connect with us at any time or you can text our dedicated support line. The App is not required to text or use the live video function. 5). Future functionality with JDLink. 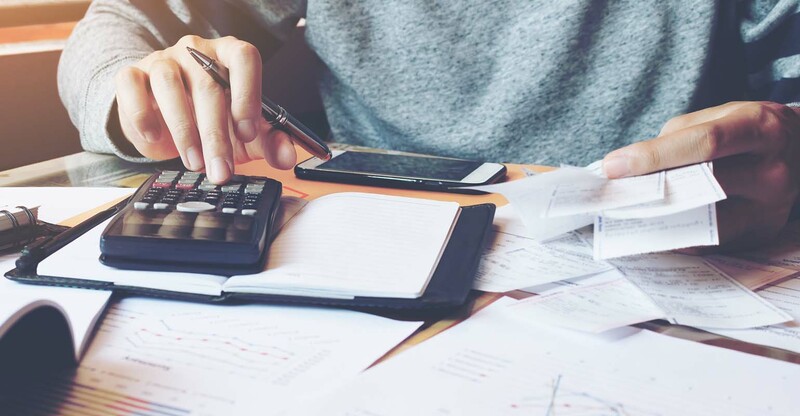 Stay ahead of issues with proactive tips from your trusted advisors. When equipment breaks down or technology glitches, get back up and running faster with "see-what-I-see" support. Some Restrictions Apply. See Dealer For Details. 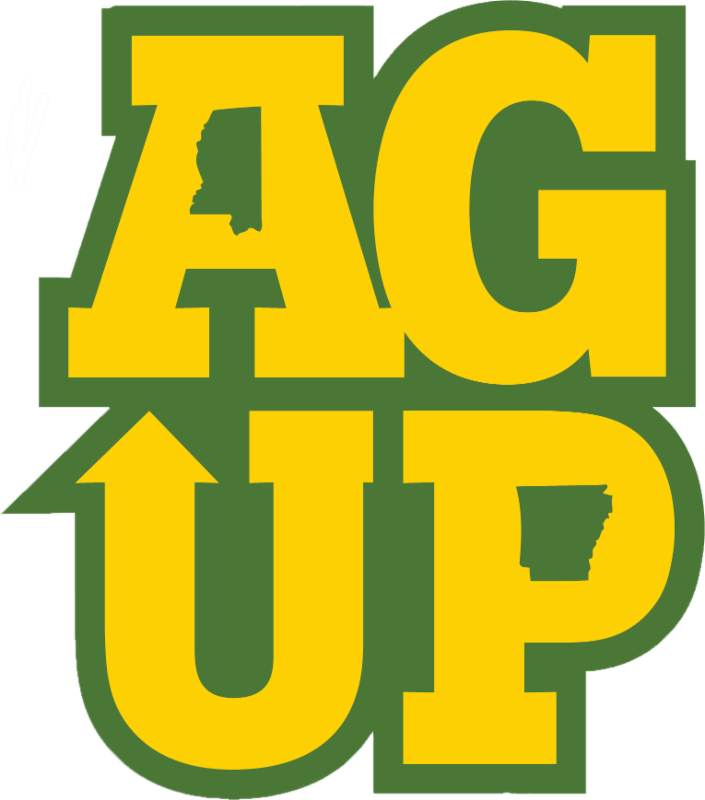 Stop Into Any Of Our 15 Locations Or Visit Us At www.AgUp.com Today! The Right Parts at The Right Price & Quality Service You Can Trust. 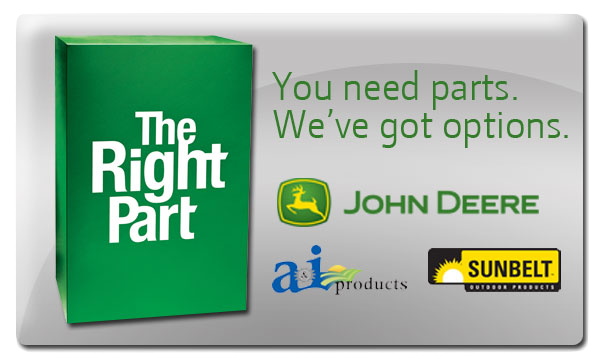 We partner with A&I & Sunbelt products to offer aftermarket parts for John Deere and other brands of equipment. With over 30 years of expertise, A&I & Sunbelt products are one of the top suppliers of high-quality, reasonably priced parts. 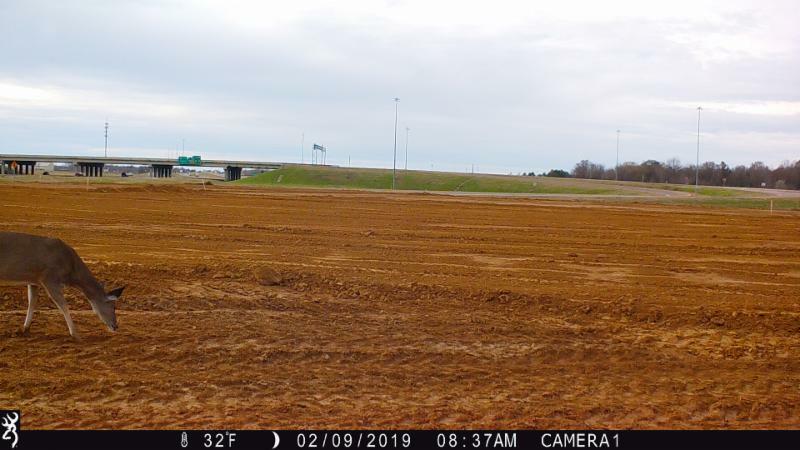 Whether it’s Agriculture or Turf, always know that Mississippi/Arkansas Ag provides the alternative solutions you demand to keep your fleet running and profitable. Make sure your equipment is ready when you are by getting your service work done now! Check out our Service Specials below and for all of our Service Specials, visit us at www.AgUP.com ! 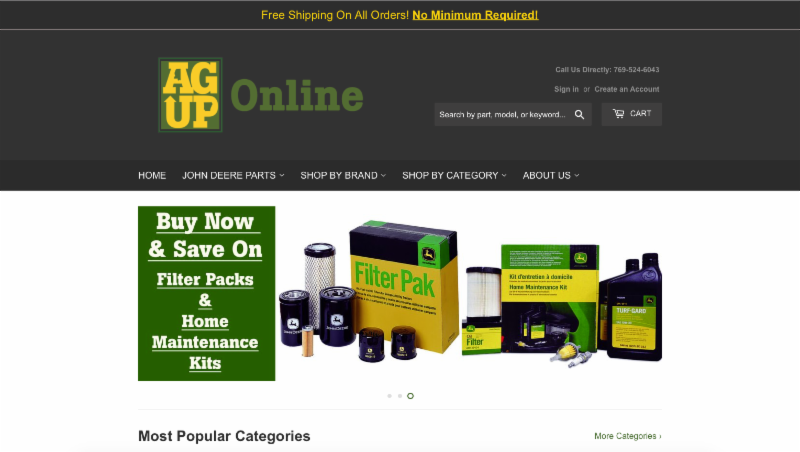 ﻿for all your John Deere Part needs! Shop from the comfort of your home and have parts delivered to you! Spring is in full swing and we are ready to help you with all the "to-do" lists that spring brings! Stop into any of our locations and let us help you with all your equipment needs! As usual, spring has our locations hopping! Many of our salesmen just completed John Deere Training Camp in Orlando where they were able to experience firsthand how John Deere stacks up against the competition. Ask our salesman today about the new products they were able to demo at Training Camp! The Extra Mile.... Spotlighting Excellence! Customer Service is MS | AR AG's top priority, and we appreciate the call we received from Mr. Harold Wees to express the following comments regarding the service he received in the Pearl store. “After 40 years in the banking business and dealing with servicing customers, I feel compelled to let you know what a marvelous staff you have in your Pearl store. I was assisted by Cody Savell, Adam Selby and a young man named Kirkland. These three young men went above and beyond to make sure I was taken care of. Young Kirkland diagnosed my problem right away and Cody found me the part in your Canton store. Thank you to our Pearl staff for going the extra mile! Thank you Mr. Wees for sharing your AGUP experience! 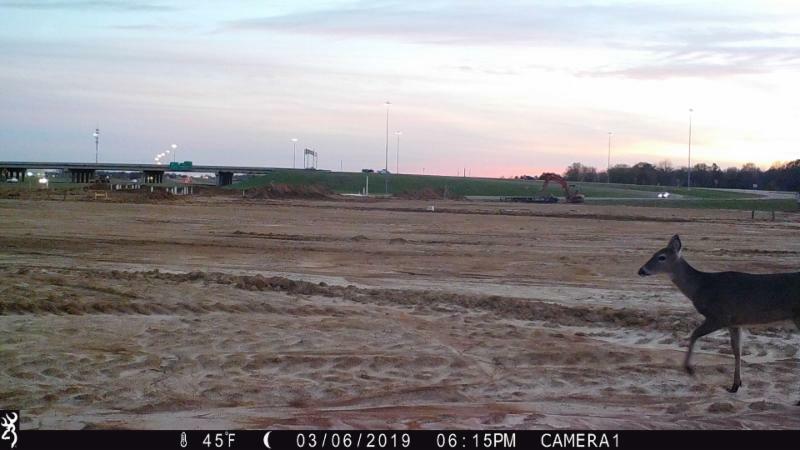 Now that we are dry, construction is moving at a fast pace and concrete will be poured in the next few days. Stay tuned for progress updates! We hope you have a blessed Easter holiday with your family and friends. 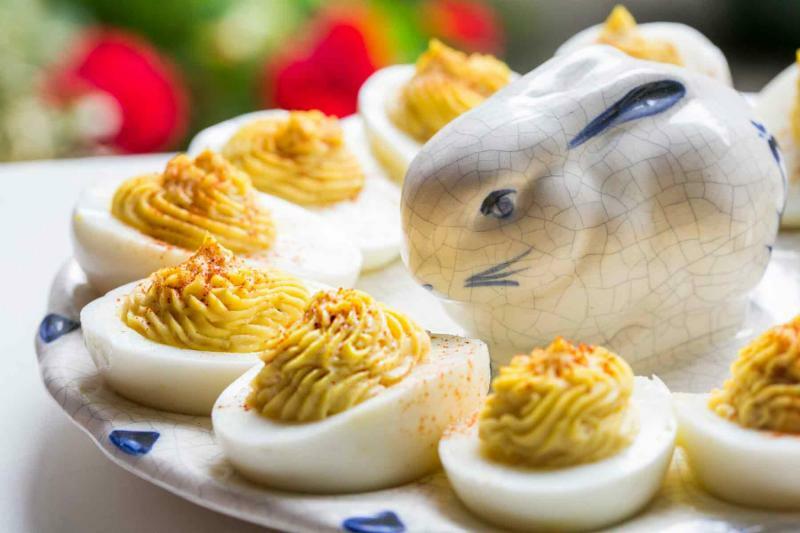 At MS|AR AG, we chose to share our favorite addition to our Easter celebrations, the classic deviled egg! For getting this recipe and any version of it perfect, check out the link below! Slice eggs in half and place yolks in a bowl and mash into a fine crumble. Add Durkee's, dill pickle relish, and S&P to the bowl and mix well. Add additional Durkee's and/or relish as needed for taste and consistency. Fill eggs and garnish with paprika.